Punitive psychiatry is being revived in the Samara region. Doctors are hospitalising healthy people in psychiatric hospitals, in order to take over their flats. On 3 February, the Regional Court of Samara opened the case of criminal negligence brought by the regional human rights movement ‘Civil Initiative’ against the public prosecutor of Samara region, who had refused to do anything about the sale of the flat belonging to 30-year-old Olga Nazarova. Valery Karlov, a human rights activist and leader of the ‘Civil Initiative’ movement, explained the details of the story. Nazarova has suffered from cerebral palsy since childhood. After the death of her mother, she was left alone in their two-room council flat in Samara. In October 2008, a contingent of medics from the psychiatric hospital, without any accompanying police, forcibly entered Nazarova’s flat and committed her to the psychiatric hospital. After two months, on 22 December 2008, Kolesnikov, the judge of the regional court, in violation of the Russian Federation Law ‘On Psychiatric Care,’ declared Nazarova in absentia not of sound mind. Medics from the psychiatric hospital forcibly entered Nazarova’s flat and committed her to the psychiatric hospital. From this moment on, the head physician of the psychiatric hospital, Mikhail Sheifer, became Olga’s guardian, and she was held in the regional psychiatric hospital. Also registered at the flat was Olga’s brother – Vyacheslav, an alcoholic – who gave his permission for the flat to be privatised. Vyacheslav gifted his share of the flat to a lady called Shulukyan, the common-law wife of a senior investigator at the Samara Police Investigation Department, Sargiz Vardanyan. Sheifer then bought Nazarova a room in a communal flat with six other people, and sold her share of the flat to Shulukyan. Now the Vardanyan/Shulukyan family is living in Olga Nazarova’s two-roomed flat; and she is still confined in the psychiatric hospital. This story is being hushed up by the Samara media. The police and prosecutor’s office are refusing to investigate the statements of the human rights organisation ‘Civil Initiative’ demanding the return of Nazarova’s flat. 'The system is so shrouded in secrecy that there are no checks and balances, so defenceless citizens suffer. By law, Nazarova could only be declared not of sound mind by order of a Samara court. Moreover, the law on ‘guardianship’ (Article 20, Part 1) prohibits the sale of real estate belonging to wards of court. There are only two exceptions to this prohibition – moving to another city or the need to pay for expensive treatment. Neither of these applies to Olga Nazarova. The system is so shrouded in secrecy that there are no checks and balances, so defenceless citizens suffer. The Samara region prosecutor, Kabaloyev, and his colleagues maintain that Sheifer did not sell all the flat, only the half share (though the law prohibits any sale). The human rights movement ‘Civil Initiative’ has information about four cases when doctors of the regional psychiatric hospital have had healthy people declared of unsound mind. All were vulnerable patients with physical disabilities; like Nazarova, however, they were all mentally sound. They were held for compulsory treatment in the psychiatric hospital, and their flats were rented out. 'We intend to appeal to the court, to demand the protection of these people’s rights and the repeal of the medical commission's decision declaring them to be of unsound mind. 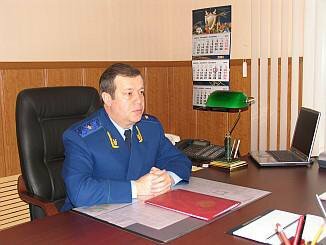 Mikhail Sheifer's wife works as a notary and his father, Semyon Sheifer, is honorary professor in the Criminal Law department of the University of Samara. These are very corrupt people, who have many influential friends in the law enforcement agencies, so Sheifer’s flat scams are not investigated by the prosecutor’s office or police,' said Karlov. Statistics show that prices for residential property in Samara are among the highest in Russia. ‘Civil Initiative’ activists discovered that staff at the psychiatric hospital first obtain guardianship over patients, and then let their flats out at cheap rates. The rent for the most expensive flat was no more than 9,500 roubles (£160) a month. All the flats belonging to patients at the hospital are rented out by their 'guardians' to people working for the prosecutor’s office, the police and officials. The human rights campaigners decided to use pickets to attract public attention to the situation surrounding the sale of Olga Nazarova’s flat. 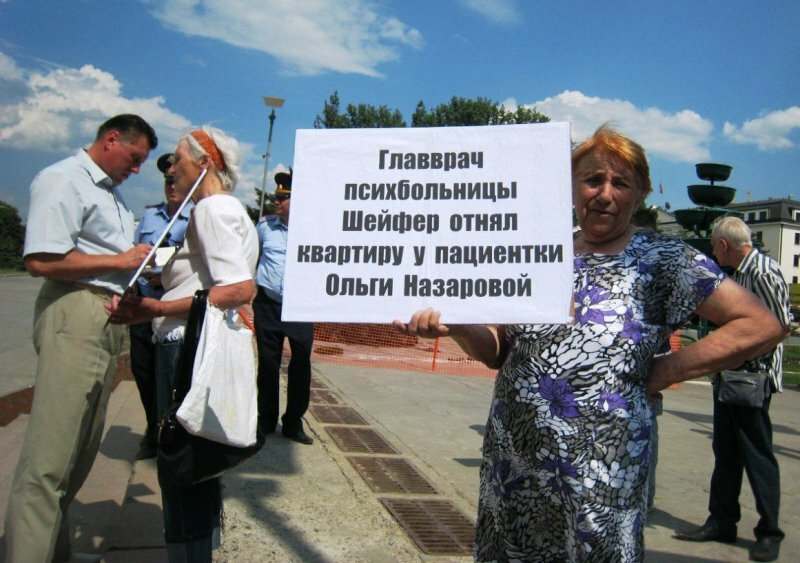 On 25 March, a picket, organised by the ‘Civil Initiative’ movement outside the Samara regional prosecutor’s office, demonstrated against its criminal negligence in relation to the misappropriation of flats of disabled citizens by guardianship agencies and psychiatric hospital staff. Twenty people took part in the action. All the picketers had suffered at the hands of the prosecutor’s office, the police, and officials from the medical and care agencies. During the picket, which lasted for more than an hour, a representative of the prosecutor’s office approached the picketers and invited them to go inside to file an appeal. The picketers refused the invitation, explaining that they had already sent complaints and petitions on the issue to the prosecutor’s office several times but that their letters had gone unanswered. Journalists from seven media outlets came to the picket, but were banned by officials from reporting it. The evening after the picket, a journalist from one of Samara’s television companies that had filmed it, rang Valery Karlov and told him that officials from the Samara regional administration were interested in the video footage of the picket. When the journalist confirmed the existence of the footage, he was categorically forbidden to release the report on television. Another journalist from a different Samara television channel told Karlov that he and other television companies had received the same warning. The management of the television company threatened him with dismissal from their jobs if the report was released. On 3 May from 10 to 12, ‘Civil Initiative’ activists organised a picket opposite the entrance to the regional psychiatric hospital on Nagornaya Street, against the abuses in psychiatry in the Samara region. 'During the picket several people joined the protest and told the human rights activists of cases where those critical of the authorities or vulnerable individuals had been placed in the psychiatric hospital for compulsory treatment; and then transferred ownership of their accommodation to the hospital', said Valery Karlov. 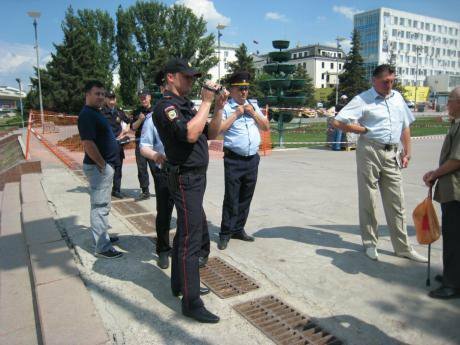 On 27 May, the ‘Civil Initiative’ movement held a picket against abuses in psychiatry on Glory Square near the Samara regional administration. 30 people took part in the picket, which had been officially sanctioned by the authorities. None of the officials of the regional government approached those on the picket line: they observed the protest from the windows of their offices. The police, however, demanded that the picketers leave the Square, and move to a bus stop. Then the activists posted single pickets with placards at the entrances to the Samara regional administration building. The police and staff of the Counter-Extremism Centre videoed the protesters. Since February, representatives of the law enforcement agencies, officials and ordinary 'well-wishers' have repeatedly advised Valery Karlov to stop defending the rights of the patients of the regional psychiatric hospital, but he considers it his mission to secure justice, and to return to Olga Nazarova the flat that was taken from her. 'Our organisation will press for the resignation of the Samara public prosecutor, Murat Kabaloyev,' said Valery Karlov. He intends to organise a public campaign to highlight the malpractice of the doctors at the regional psychiatric hospital. But, Karlov says that the information vacuum, whereby no local or central media outlet reports on ‘Civil Initiative,’ and pickets are dispersed and banned, will make this very difficult to achieve.